• CABA, meaning Certified Agile Business Analysis from ISQI (the International Software Quality Institute), to learn how to extend the core skills to the field of Business Analysis in an agile context. • BPMN, meaning Business Process Model and Notation from OMG (the Object Management Group), to create a standardized bridge for the gap between the business process design and process. • IT Cost & Workload estimates, which is a homemade training by ‘escent. It provides an overview of the most used and known techniques in order to help you to better understand the complexity and necessity of an accurate time and effort estimation within a project. We are committed to allow our consultants to share their experience and knowledges on this occasion as they came back from the field to gather and exchange. It also was a perfect opportunity for them to enjoy each other’s company and simply get to know each other a bit more. Finally, we think they should be the first professionals to benefit from our new training offer which has been launched at the beginning of 2017. At ‘escent, we truly believe that the adapting and continuous training of our consultants is a key value for our customers as well as our team. We will continue to put this concern at the heart of our preoccupations and invest at least the equivalent of 3 days of training per year for each escenter. 3 of them actually passed the CABA certification after following our internal training. We are particularly proud of these trainings which complete our former offer already covering the spectrum of requirement engineering and project management. 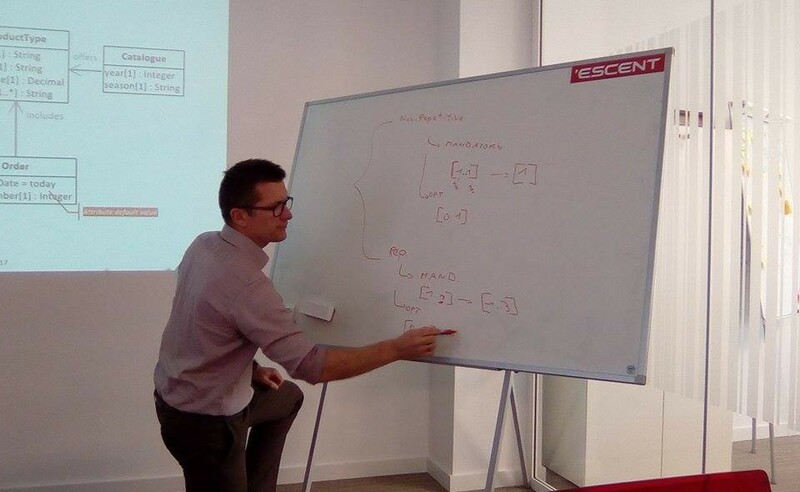 Don’t forget that ‘escent gives you the chance to customize your training to match your needs (for example we can come to your company or organize the meeting in our premises depending on what you prefer).